Margaret Suderman was born on April 10, 1902 in Neuhoffnung, Manitoba. She is the daughter of Mr. and Mrs. John P. Suderman. Siblings are William, Justina, Marie, Helen, Susan, Jacob and Abram. On June 13, 1915, at the age of 13, Margaret was baptized upon her confession of faith by Pastor John Warkentin and received into the Mennonite Brethren Church. She strengthened her faith through the Bible and prayer, and already had a strong desire to become a missionary. Margaret attended school in Morden, Manitoba, and went into nurse’s training at the Winnipeg General Hospital of Nursing (now Health Science Centre). She graduated in the Spring of 1927 and left for Chicago where she worked at the Cook County Tuberculosis Hospital and attended Moody Bible Institute for one year. In September, 1928, Margaret attended Tabor College in Hillsboro, Kansas. On May 26, 1929 Margaret was ordained as a missionary in Winkler, Manitoba by Rev. Herman Neufeld. Her first term of service began in India on July 5, 1929. She stayed in Wanaparty, Hyderabad, Deccan, India until 1936. After a two year furlough Margaret returned to Wanaparty for her second term, 1938-1946. This scenario repeated itself with a third term, 1947-1955. For her fourth term, 1956-1962, Margaret was sent to Deverakonda, India, where she resumed the work of Maria Wall and Helen Warkentin who were both retiring. Margaret retired from mission work at the age of 60. Margaret never separated her work as nurse from that of missionary. “Her work was first and foremost to bring the gospel to spiritually needy people. The medical work was the vehicle by which she could reach out to the soul of the people.” She was nurse, doctor, administrator and builder. She tended to the sick, trained workers to help, gained the confidence of the people and built a larger hospital, living quarters, maternity ward, dispensary and water well. Each morning she held devotions outside, ministered to the peoples souls and began teaching Sunday School to a group of teenage boys. This material was deposited to the Centre of Mennonite Brethren Studies in 2009 by Alan Labun, nephew and executor of Margaret Suderman's estate. This fonds consists of many letters, diaries, photos and slides relating to Margaret’s mission work in India. Her papers are mostly in English, with a few written in German. The photographs are of mission work in India and some of her travels. This fonds is a rich resource for a study of single women as missionaries. Finding aid includes file list. Finding aid for photographs: NP189. NP189-01 – NP189-04 are stored in Volume 1272. Created by Tamara Dyck, January 2010. 1. Publications about India. – n.d.
2. Farewell addresses to Margaret Suderman. – 1955. 3. Article in Christian Leader. – 1956. 4. A Mennonite Hospital in India by Virginia B. Rodarmor. – 1959. 5. Historical Report of the A.M.B. Mission Medical Work in India. – 1961. 6. Travel arrangements. – 1962. 8. Autobiographical Information. – n.d.
9. Testimony of Veera Reddy. – n.d.
10. Testimonies. – 1928, 1955. 11. Conference Honors. – 1983. 18. Letters from Margaret Suderman. – 1936, 1944-1956. 19. Correspondence from India to Margaret Suderman. – 1946-1980. 20. Miscellaneous notes. – n.d.
21. Report notes in German. – 1939-1956. 22. Miscellaneous reports in English and German. – 1935-1984. 24. 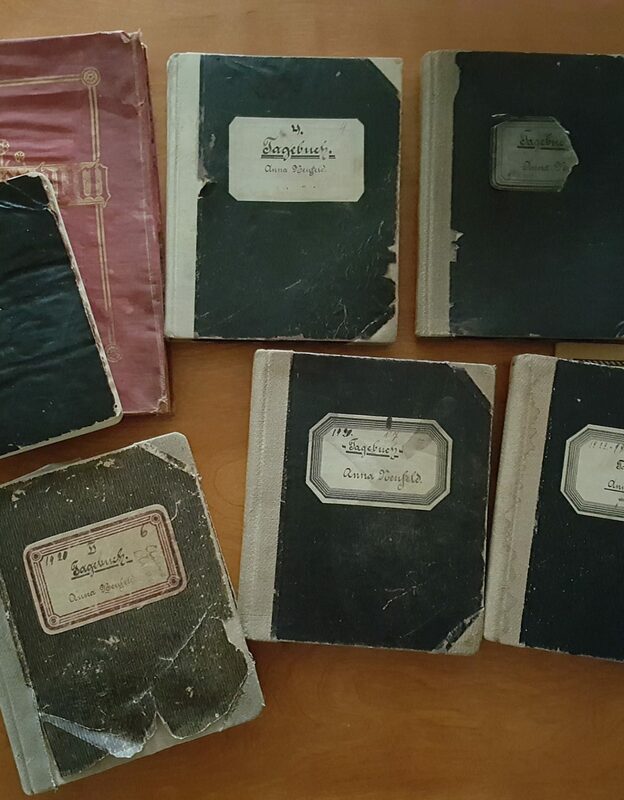 8 Notebooks in English and German. – ca. 1946-1969. 30. Farewell scrapbook from Morden MB Church. – 1956.